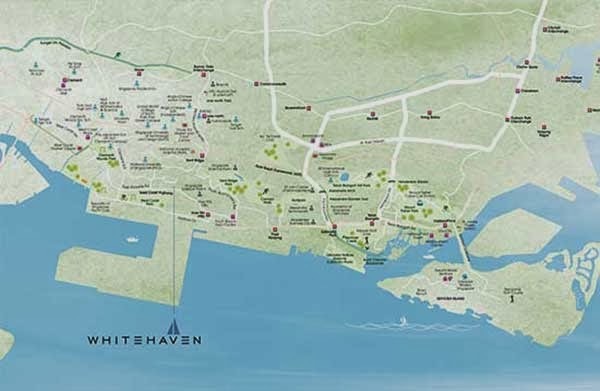 Whitehaven @ Pasir Panjang is remarkably built at the heart of Pasir Panjang, Singapore District 5. It is composed of 3 blocks of 5-storey mixed condominium units that highlights communal facilities. Developed by the prominent RL West Pte Ltd, it offers great potentials and features for a sophisticated lifestyle. Whitehaven is also at close proximity with prestigious schools and universities such as the United World of College of South East Asia, Tanglin Trust School, National University of Singapore (NUS) among others.You can also enjoy shopping experience at famous shopping centres in the area such as the West Coast Plaza, Holland Shopping Centre, Queensway Shopping Centre and Clementi Shopping Centre. Pertinent with its communal facilities, Whitehaven is blissfully close to great parks such as the Kent Ridge Park and Clementi Woods Park where you can freely roam around and marvel at nature's beauty. Whitehaven is also just nearby Central Business District (CBD) and the magnificent Tanjong Pajar Waterfront City providing you with a great balance of modern and cozy living experience. Call now for Whitehaven @ Pasir Panjang Price and start to buy units. Download Whitehaven @ Pasir Panjang Floor Plans now. *Whitehaven @ Pasir Panjang VVIP Preview is available strictly by Appointment. Showflat opening hours may varies. For opening hours, do call our Sales Hotline at 6100 0877 or register below for your VVIP Preview.